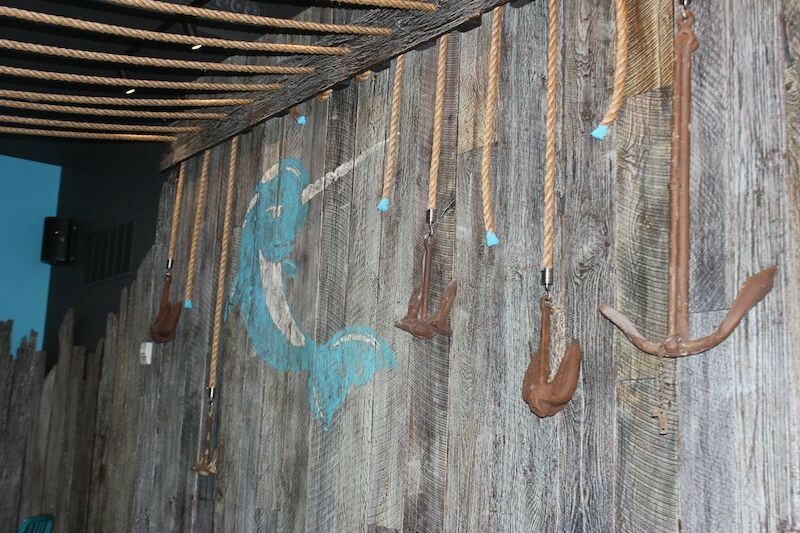 Nautical-style ropes hang from the ceiling at the new Narwhal's, open in St. Louis since September 9. 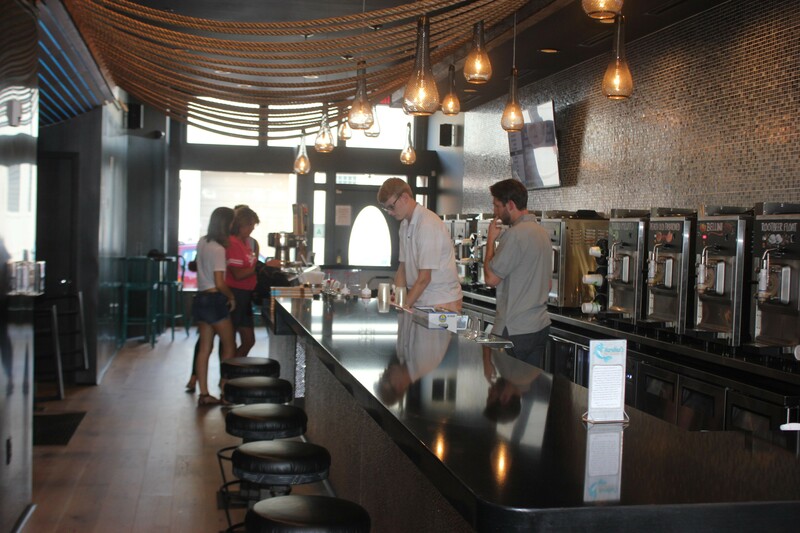 The new slushie bar that quietly opened its doors a few weeks ago in Midtown, Narwhal's Crafted Urban Ice (3906 Laclede Avenue), is almost certainly not what comes to mind when you think "slushie bar," much less "slushie bar near a college campus." There are no trash bins overflowing with styrofoam cups, no drunk 21-year-olds shout-singing those lyrics about "if you like pina coladas/and getting caught in the rain." There is not, in fact, even a pina colada on the menu. 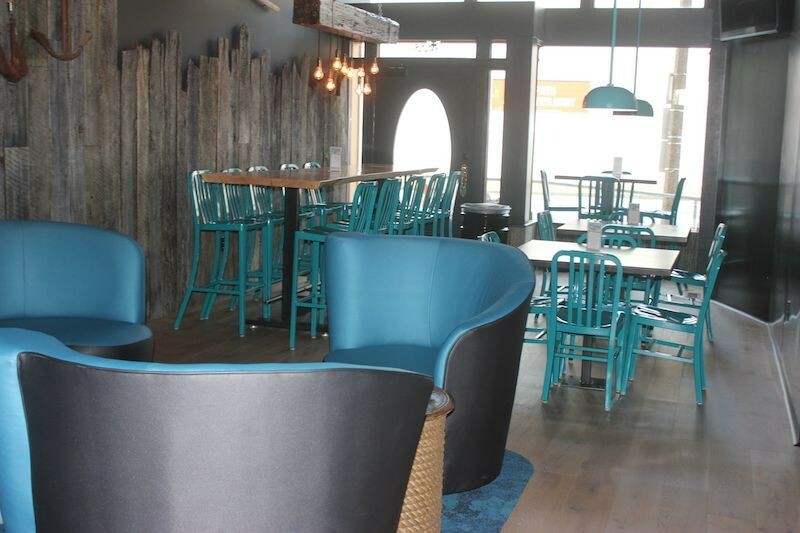 What there is instead is a gorgeous new space, expertly designed by Space Architecture + Design to include a nautical theme that keeps the "narwhal" gimmick clever, not kitschy. 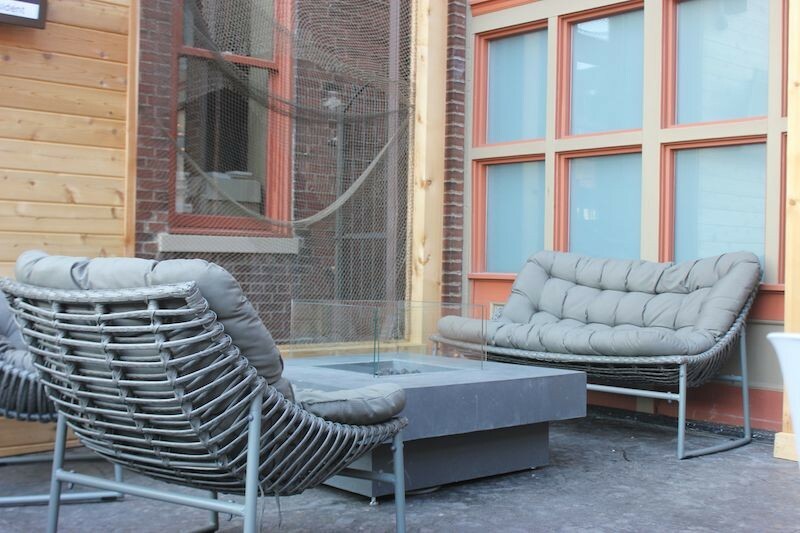 There's an almost fully enclosed patio, with a firepit that will be heaven on cool fall nights. 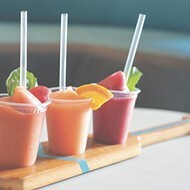 And there are sophisticated drinks that may surprise anyone who assumes that "frozen" means "sticky sweet" — among them negronis, blackberry mint mules, bourbon slushes and prickly pear margaritas. Think of Narwhal's as the bar version of those now-ubiquitous high-end ice cream parlors, with fresh herbs and intriguing ingredients blending in with the usual fruit. A lounge area with curved sofas complements a communal table and other seating options. 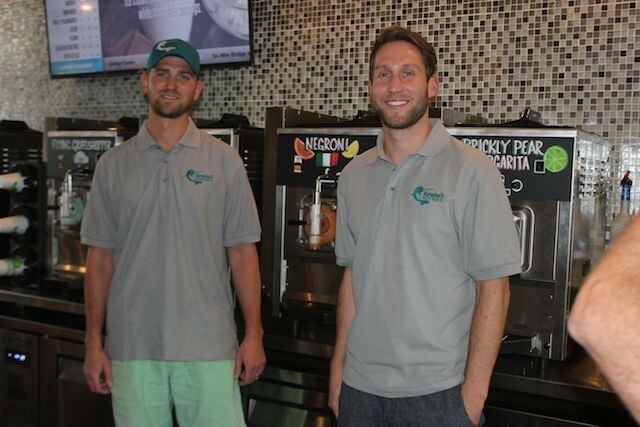 The concept is the brainchild of Brandon Holzhueter and Brad Merten, who've known each other since their days at Parkway West Middle School and together own two Picklemans franchises. 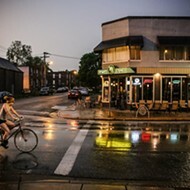 Their first Picklemans is just a hop, skip and jump from Narwhal's (you can order sandwiches via a special "pickle phone"), and their familiarity with the newly rejuvenated neighborhood is one reason they felt confident the people who live and play near Saint Louis University were ready for their drinks — they've been serving them sandwiches for years. They know that not everyone who comes to their slushie bar is ready for the subtle bitterness of a negroni, and that's just fine. They have sweet drinks for those who want them, and even craft beer for people who want to avoid frozen stuff altogether. But if you want to push the envelope, they personally developed these concoctions over more of a year of experimentation, and they're proud of the complex flavor profiles they've put together. Says Holzhueter, "You may not like everything we're serving, but you always can find something you like." Of the negroni, Merten says, "I have to preface it like, 'Do you know what you're getting?' Sometimes after they try it, we have to try something else for them. But people who know negronis love ours." He's happy to help his customers expand their palates: "The negroni something I don't want to give up on for a while." 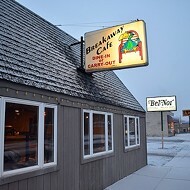 Overall, they say, they've enjoyed the few weeks of soft opening to work through the kinks. The foot traffic has been good and the feedback great. 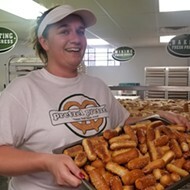 They've been thrilled to see they're getting a good mix of customers — "People who live around here, people stopping by after a trip to IKEA," Holzhueter says. "Even people from west county and Illinois," adds Merten. "A lot of things we did, if this was purely a college bar ...." Holzhueter says, and Merten finishes the thought. "We probably went over the top," he says. But hey, Narwhal's is not just purely a college bar. And in light of how lovely it looks, and how smartly this menu was developed, it's hard to imagine anyone, even college students, complaining about that. 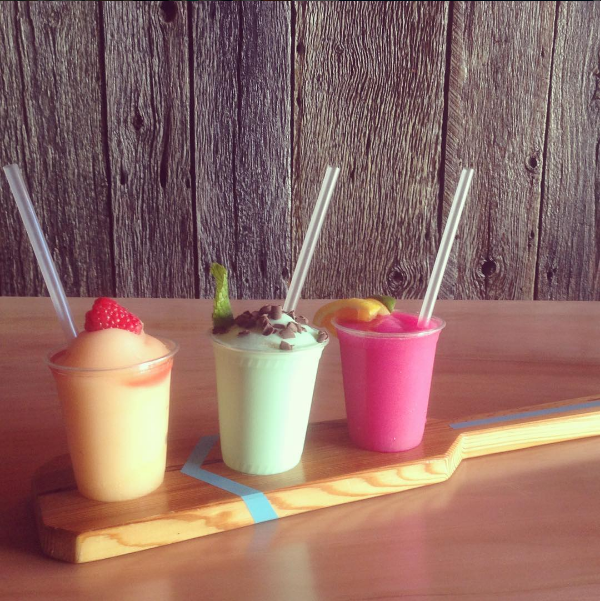 Customers can order three of Narwhal's slushies in a flight — just like a wine bar. 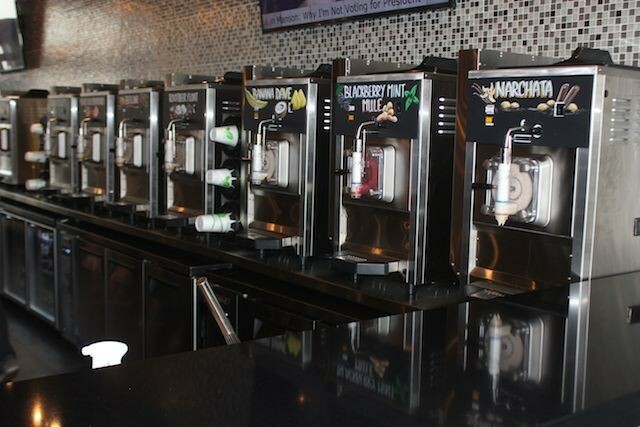 A row of slushie machines at Narwhal's. Twelve options are offered at any given time. Brandon Holzhueter (left) and Brad Merten perfected their drinks at home around the kitchen table. Walls are lined with reclaimed wood from an old barn. 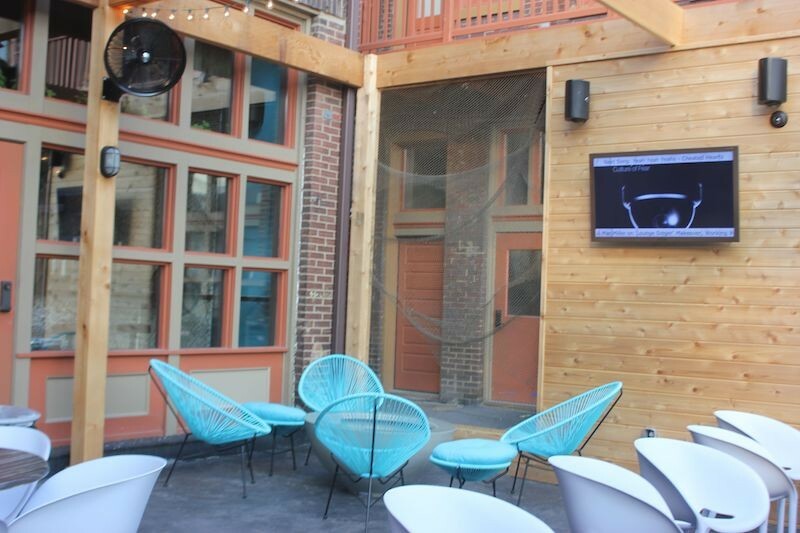 An enclosed patio out back welcomes drinkers with two big flat-screen TVs and plenty of seating. A sleek firepit will keep customers warm on cold nights. 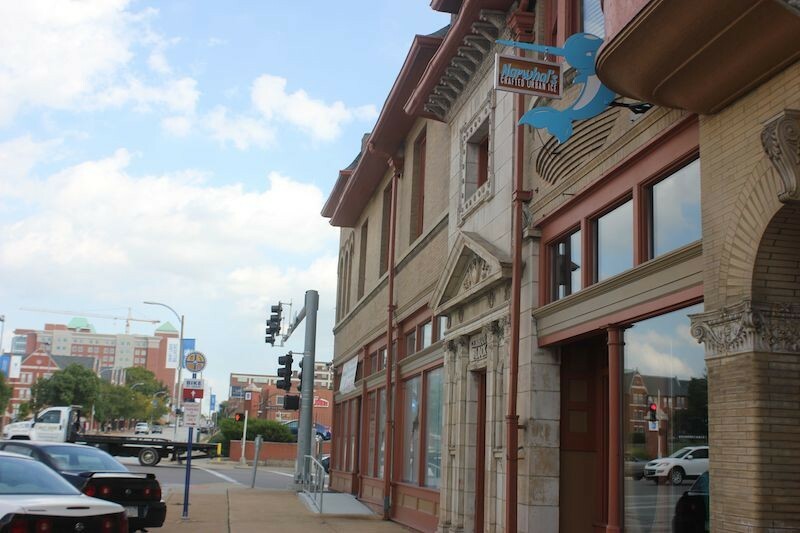 Located at Laclede and Vandeventer, the bar is just a stone's throw from the Saint Louis University campus, as well as the Central West End.